Media Work | The Vikings! 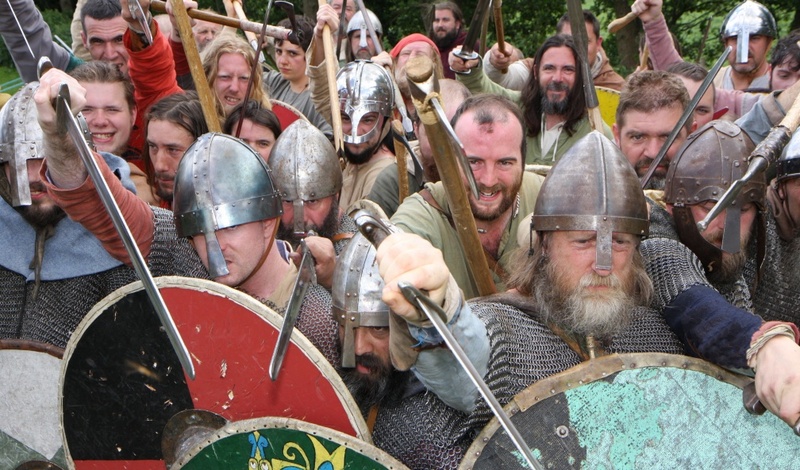 The Vikings are available for all forms of media work, from supplying a single costumed extra for photographic work, to an entire army of Dark Age warriors or a company of Norman knights. A Saxon village can be filled with men, women and children who will provide an authentic backdrop to any film, TV or video production. We are experienced in fight coordination for the camera if required. We have provided models for many publications and for museum photo displays.